Bluetooth HID profile V1.0 compliant. Provide 3.0V and 1.8V DC output power. 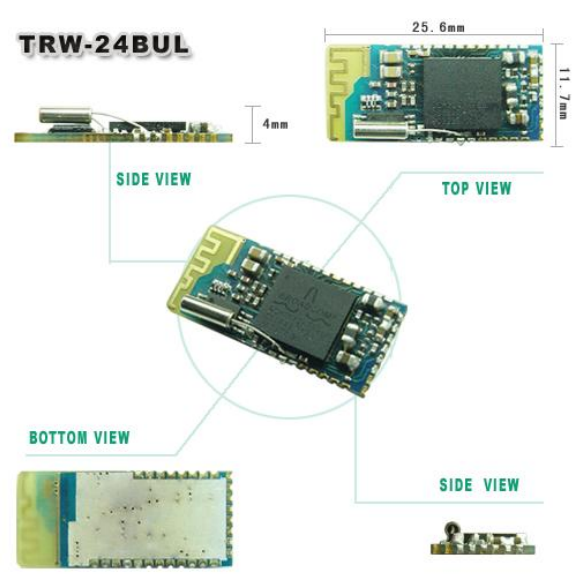 Conform to Bluetooth Class 2 output power . Ultra low power design. (ex: wireless optical mouse: below10mA in operation). Support AFH (Adaptive Frequency Hopping). Built-in switching regulator to reduce external BOM and provide high efficient power for external sensor. On module EEPROM and crystal and PCB Antenna. It can provide the custom-made firmware of HID application.